I was recently told about an interesting hand from the bubble of a $500 buy-in tournament that illustrates a few critical errors many poker players make on a regular basis. There were 66 players remaining with 64 getting in the money. With a 40-big blind stack, an overly loose-aggressive player raised from second position to 2.2 big blinds. The action folded around to our Hero with a 20-big blind stack who looked down at Q-Q and decided to call. While slow playing pocket queens is normally a reasonable play, getting tricky on the bubble is not advisable. It is hugely beneficial to pick up even the raise, the blinds, and the antes at this point. Even when an all-in with queens gets called, it will win a large chunk of the time. While calling will result in the opponent bluffing off his stack some portion of the time, it also allows him to see the flop, which will occasionally be detrimental for Hero. The action folded around to the big blind, a well-respected player, who three-bet to nine big blinds out of his 60-big blind stack. The initial raiser quickly folded. Hero again has to decide if he should slow play or go all-in. Calling only makes sense if Hero thinks the opponent will fold for 11 big blinds more, which is highly unlikely to happen, given the well-respected player can certainly do math. He will have to call 11 more big blinds to win a pot that will contain about 44 big blinds, meaning he needs to win 25 percent of the time (11/44). Nearly any two reasonable cards will have roughly 25 percent equity against even a strong range of exactly A-A, K-K, Q-Q, and A-K.
Of course, if he can somehow put Hero on exactly A-A, then he can justify folding some tiny portion of hands. That said, given it is the bubble, Hero does not mind winning the pot with no contest, making an all-in the clear best option. Hero moved all-in and the big blind instantly called with Q-8 offsuit. I despise this play by Q-8 offsuit. While I understand the idea of pushing around the bubble with a big stack, this does not seem like an opportune time to do so. While the initial raiser likely has a wider range than most due to his general tendencies, raising from second position into the big stack in the big blind and multiple 20-big blind jamming stacks without at least a reasonable range is a recipe for disaster. The caller (Hero) could also be trapping with a premium hand. That said, if there is a strong reason to think both players have marginal holdings, bluffing with a junky blocker hand could be profitable. Once jammed on by the Hero, Q-8 offsuit should probably fold, even getting amazing pot odds. Against A-A, it only wins 14 percent of the time and against A-A, K-K, Q-Q, and A-K, it wins 23 percent of the time. For the call to be barely profitable, Hero needs to be jamming at least 10-10+, A-10 suited+, A-Q offsuit+, and K-Q suited. That does not seem likely to me, given it is the bubble. There is a bit of merit in the idea of letting people know they cannot get of line against you because you will snap them off, but the time to do that is typically not when there is a substantial amount of money on the line. 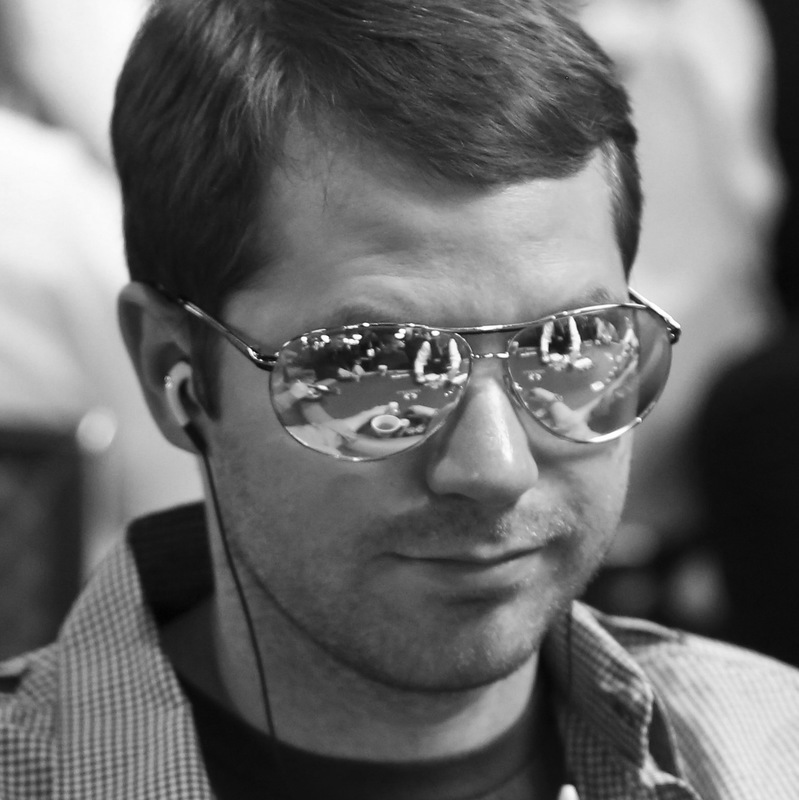 A badbeat story disguised as a poker article. LOL.